The sun setting behind distant palms, seen from the roof of Equity Point. As the maghrib prayer was called, a small group of us were left watching the dust-blown orange sun setting and, as ever, it put on quite a show as it lowered itself below the tops of three palms in the middle distance. The multitudinous adhans started as, one by one, the muezzins called "Allahu akbar… hayya'alas-salāh" in a rippling effect that hums across the massiveness of the sky over the hostel’s roof terrace. Save for the soft fizzing sound as hot atay hit the cube of sugar at the bottom of my glass, we were left silenced. As with the previous day, there is a rolling cast of bit part players coming and going within the hostel. Shortly after maghrib, I had wandered to the Jemaa el-Fnaa. Encouraged by my stolen guidebook, I had decided to brave one apparent local delicacy - snails! The snails are sold at small stalls in the centre of the market place, slightly away from the larger food stalls in the middle and adjacent to a line of orange juice sellers. The proprietors all stand in the middle with monstrously large silver pans filled with small brown shells and a steaming light brown broth. All around the edges of the stall are seats for diners to sit and dine from. Conscious that I was the centre of attention as I paid my 10dh for a small bowl full of the creatures, I just copied the actions of the nearest Moroccan man I could see. One by one, using a small toothpick, I plucked out only the meatiest part of the snail and left the slimier looking part well alone. A few American tourists came over to look at the snails as the seller shuffled the snails around in the pan to a chorus of clattering shells. Needless to say, they gave a wry smile and headed off to the nearest café selling burgers. It's difficult for something that looks like this to be appetising. I wandered back through a quieter part of the souk to find the young American couple rummaging around in the dorm room in a bit of a panic - at this point, I should point out that neither were American; she was Canadian and he was German. During the night, she had been bitten to hell and back by bedbugs, apparently a regular occurrence for those who have been out in the desert trekking for a few days. This seemed to get her German boyfriend flustered, but no one else in the room had been affected. The one thing we did have to do was to package up all of our clothes and any belongings made of fibres and hand them to reception to be tumble-dried. Grouchy Frenchman seemed unmoved – I guess if you're already annoyed by everything life has to throw at you, it can't really get much worse. When Grouchy and me arrived in reception, both of us knowingly avoiding any smalltalk, the two female members of staff started to have a giggle about the situation. After a couple of moments, their infectious laughter, and gentle mockery of the both of us, finally raised a smile on the face of Grouchy. It seemed the ice-man was melting. Both Grouchy and I were moved to a new room, as the young couple showered us with apologies. A short while later, and back on the roof terrace, Adam, a young German photojournalist with wavy locks of dark hair, a stylish beard and an enthusiastic tone to match, started to tell us about his current project. As part of a project that he was organising alone, he had been travelling to the Western Sahara, a disputed territory that is split between Morocco's Southern Provinces and the Sahrawi Arab Democratic Republic's (SADR) area called the Free Zone by their Polisario Front military group. Following the Spanish withdrawal from the territory in the 1970s and a conflict with neighbouring Mauritania, Morocco has had control of the area, having claimed the territory formally in 1957. The dispute continues to affect some political relations with neighbouring countries to this day. 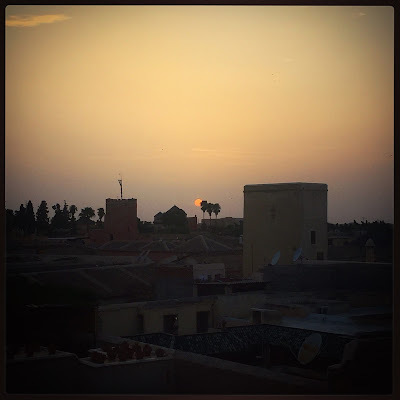 Adam told us that he had travelled to Laayoune, the capital of the Moroccan-controlled Southern Provinces, and had started by photographing pro-SADR/Polisario grafitti. He claimed that often, within hours, any such graffiti was being painted over. He had then crossed deep into the SADR-held territory and visited some of the camps there. These had been a massive contrast to the clean streets of Laayoune and he spent his time photographing the rebel Polisario forces parading, whilst trying to document ordinary life of the Sahara with people there. He told a story of how, during one evening when someone realised that there was Champions League match involving Barcelona, loads of them had piled into one shack to watch it. Part way through the match, the battery had run out on the television and the room emptied as a new one was harvested from someone’s car. Football truly does come first all over the world. After a couple of days, even though he had all of the requisite permissions from the Moroccan government, and the Polisario Front, the authorities didn't take long to suspect he might be in someway doing something rogue. Within 24 hours of arriving in another small town – which based on the details he gave us must be Guelta Zemmur – officials arrived demanding his passport from his hosts. What unfolded, and I have little reason to doubt his story whatsoever, sounded like a scene from a Jason Bourne movie. Kay, a young Australian girl, Dee, a Swiss woman of around my age, and myself sat enthralled. His hosts, naturally, had denied that he was in the building and this had given him time to slip out of the house. They had been making progress away from the area when a police roadblock a few kilometres later appeared out of the dust and paramilitary police had emerged from the vehicles with their weapons pointed. He got taken the 600km to the nearest airport and was told to leave immediately for Casablanca on the next flight. He told the whole story in much more detail and as if it was something that had happened years ago, but, it had literally happened just the day before. Eventually, one of the giggling receptionists told us that we had to leave the roof terrace; the time having flown by, so we headed to a seating area. Adam, as if to prove that what he told us wasn’t a lie, showed us some of the images of Sahrawi graffiti, phosphorus production and Polisario troops parading that he’d taken before his deportation. By the morning Adam had disappeared, possibly to try and get back to where he could continue his project, or maybe back to the relative calm of his home in Germany. Bed bugs don't like tumble-dryers. 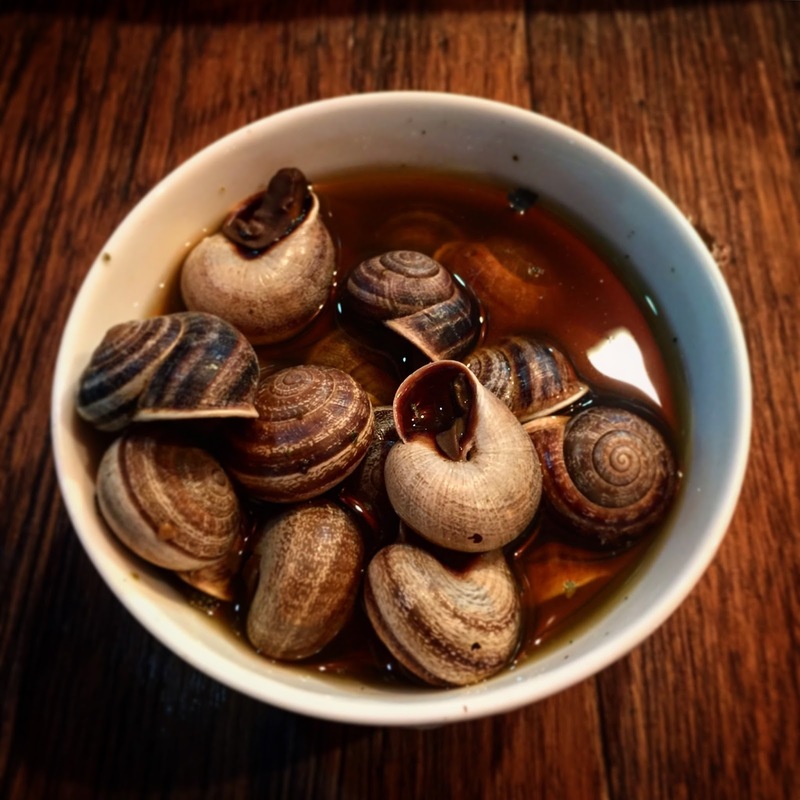 The texture of snails, however tasty the soup, is basically how you would expect it to be. I really need to own a roof terrace in the medina of Marrakech. Note: The dispute over Western Sahara is a complex one and one that I personally only know a little about. The story was told to me by a fellow traveller whose name has been changed in this story. It is his subjective account on events and in no way is to be taken as representative of an objective account of the conflict, the Southern Provinces of Morocco, or the SADC/Free Zone under Polisario control. Were the snails delicious??? It should have been quite an experience!!! They were a bit weird to be honest. Strange texture, but the soup was nice. Very cheap food! Adam's tale is so intriguing! Is it a Moroccan delicacy? I'm not sure, but the guides say to try it. I'm a much bigger fan of a tajine Gibbs honest! A few people I've spoken to are a bit dubious about his story, but the status of Western Sahara is quite divisive. My goodness Tom you are such an adventurous spirit. I'm an ole bore by comparison. That has been a disputed territory for ages now.